What does this mean and can that really improve my power, consistency, injury rate and career longevity? Let’s start answering this question with some definitions. Agonists – are muscles that pulls the body most directly in the desired direction. These are also known as ‘prime movers’. 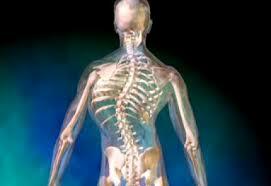 Antagonists – are muscles that pull in the opposite direction. For every action you do, there is one or more agonists that pull one way and an antagonist(s) that pull the other way. Arc of Motion – refers to a specific portion of a joint’s full range of motion. Imbalanced Joint – At one or more points throughout a joint’s range of motion, muscles pulling in some direction will be significantly stronger than muscles pulling in the opposite direction. This will result in joint off centering (a shift in the joint’s fulcrum), abnormal mechanics, decreased strength/speed/endurance, stretching of soft tissues, damage and injury. Persistent imbalance will lead to joint degeneration. Resting Tension – When the body is at rest, there is a residu al amount of muscle contraction that remains. The balance between the resting tensions of the agonist and antagonist will determine where the body comes to rest when no conscious work is being done. 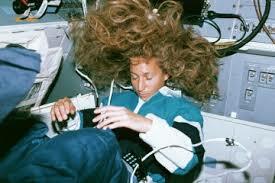 An astronaut sleeping without the influence of gravity, will assume the position that reflects the balance of resting tensions of all muscles throughout the body. Note the resting tension dominance of neck and elbow flexors as well as shoulder internal rotators with the astronaut in the photo. Peak Power – The maximum amount of force that a muscle can generate at some arc within its’ range of motion. Typically, muscles will be weaker at both ends of its range of motion. Balanced Peak Power – Imagine a joint where the peak power is equal between the agonist and the antagonist, but one muscle has its’ peak power towards one end of a joint’s range of motion and the other muscle has its’ peak power at the other end of this range of motion. The joint will have a tendency to be stretched off-center at one end of the range of motion and be stretched off-center the other way at the opposite end of the range of motion. 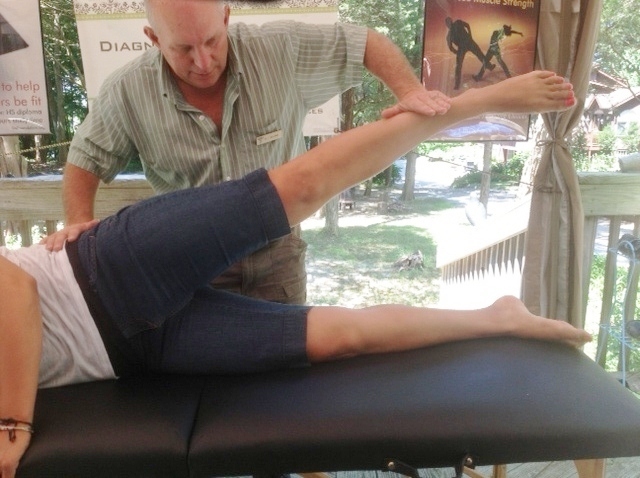 Balanced Resting Tension – When properly balanced, the body’s position at complete rest is close to postural neutral. Having balanced resting tension does not mean the muscles are balanced throughout their range of motion. The agonist and antagonist muscles could be properly balanced at the resting central point yet still have significant imbalances at either end of their ranges of motion. What importance does this concept have in golfing? In golfing, some players do not train at all and get all their physical development from playing golf or practicing on some sub-set of golfing activities. More recently (i.e. since Tiger Woods), physical training has been incorporated into many more player’s career preparations. The majority of this physical preparation takes the form of exercising the prime movers and are done in ways that mimic some component of the golf swing. Let’s take a look at the muscles that are involved (and thus exercised) in golfing and then see why these conditioning methods are leaving a lot of power on the table and increasing susceptibility to injury. 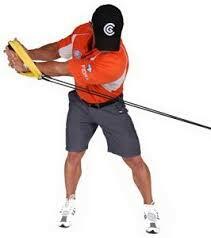 Note the relatively slow velocities used by all four body regions during the backswing. 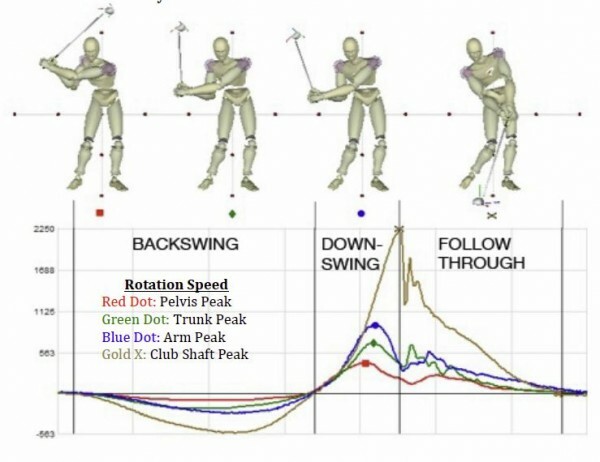 This graph demonstrates relatively little work being done by the backswing muscles compared to the work being done by the down-swing muscles. Even if we take into account the additional work done by the backswing agonists as you approach the transition to the down-swing by stretching the elastic tissues, this muscle group is getting exercised much less that the down-swing agonists. Over time, this imbalance in peak work during golfing results in the down-swing muscles becoming stronger than the antagonist group involved in the backswing. It is also important to note that the peak force exerted during the backswing happens closer to the maximum backward rotation. The peak force during the down-swing happens closer to the ball strike. Whatever strength development occurs in the agonist and antagonist muscle groups during golfing will be mismatched not only in peak force, but also in the arcs of motion involved. The key point to get from this article is this. In order to achieve optimal performance, it is necessary to balance the agonist and antagonist muscles throughout their ranges of motion in all of the golf related activities. Each agonist muscle involved in the golfing motions at the beginning, middle and end of the range of motion for that muscle. weak from lack of use? inhibited because of pain in the area? having a problem with the muscle’s nerve or artery supply? biomechanically impaired because of bone, cartilage or ligament damage? These factors can be ruled in or out fairly rapidly with diagnostic tests as well. It will give you limited benefit to exercise a muscle that doesn’t work well because of nerve damage or a malformed bone until the factors causing the weakness are resolved. Our goal is to make sure you have the most efficient, productive time exercising so that you get the maximum return for your training time. 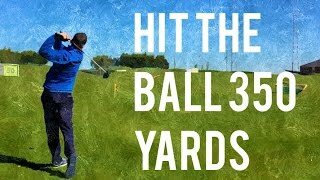 Here’s to fast improvements in your golf game.